A holiday in Cradle Mountain-Lake St. Kick off your visit on the 11th (Sun): take in the dramatic scenery at Pencil Pine Falls and Knyvet Falls, contemplate the waterfront views at Dove Lake Circuit, and then explore the activities along Lake St. Clair. On the next day, take in the awesome beauty at Barn Bluff and then hike along Crater Lake Circuit. 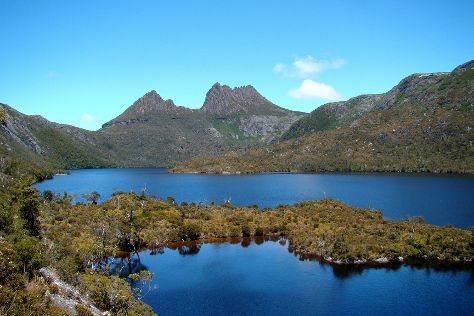 For photos, traveler tips, more things to do, and other tourist information, use the Cradle Mountain-Lake St. Clair National Park travel planner. Singapore, Singapore to Cradle Mountain-Lake St. Clair National Park is an approximately 15.5-hour flight. The time zone difference moving from Singapore Time to Australian Eastern Standard Time (Tasmania) is 2 hours. Cap off your sightseeing on the 12th (Mon) early enough to go by car to Stanley. Stanley is a town on the north-west coast of Tasmania, Australia. On the 13th (Tue), look for all kinds of wild species at The Nut State Reserve, contemplate the long history of Highfield Historic Site, then look for gifts at The Angel's Share, then explore the galleries of Cow 'n' Calf Art Gallery, and finally don't miss a visit to Stanley Heritage Walk. To see photos, traveler tips, where to stay, and tourist information, read our Stanley day trip planner. Drive from Cradle Mountain-Lake St. Clair National Park to Stanley in 4.5 hours. Alternatively, you can do a combination of car and bus. In August, plan for daily highs up to 14°C, and evening lows to 1°C. Wrap up your sightseeing on the 13th (Tue) to allow time to drive to Strahan. 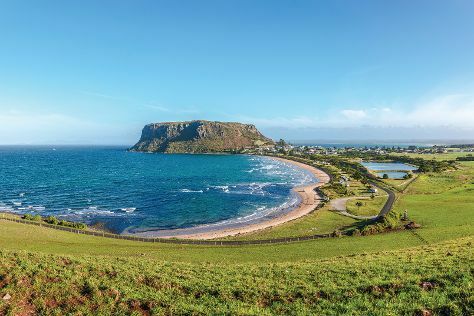 Combine breathtaking nature and genuine hospitality, wrap it up in small-town scenery, and you get Strahan, Tasmania. Kick off your visit on the 14th (Wed): stroll through Ocean Beach, then look for gifts at Wilderness Woodworks and Wilderness Whisky, then see the interesting displays at Morrisons Huon Pine Sawmill, and finally admire the sheer force of Hogarth Falls. For photos, more things to do, maps, and other tourist information, refer to the Strahan trip itinerary planner . You can drive from Stanley to Strahan in 4 hours. Another option is to take a bus. Finish up your sightseeing early on the 14th (Wed) so you can travel to Mount Field National Park. On the 15th (Thu), identify plant and animal life at Tall Trees Walk, take in the dramatic scenery at Horseshoe Falls, and then take in the dramatic scenery at Russell Falls. To find ratings, traveler tips, maps, and more tourist information, go to the Mount Field National Park road trip planning tool . You can drive from Strahan to Mount Field National Park in 4 hours. In August, daytime highs in Mount Field National Park are 15°C, while nighttime lows are 4°C. Finish your sightseeing early on the 15th (Thu) to allow enough time to drive to Hobart. Snaking up the side of a rounded, tree-dotted hill, Hobart sits between Tasmania’s sprawling mountains and the vast estuary of the River Derwent. Kick off your visit on the 16th (Fri): explore the world behind art at Tasmanian Museum and Art Gallery, appreciate the extensive heritage of Battery Point Sculpture Trail, then contemplate the long history of Cascades Female Factory Historic Site, then take your sightseeing to a higher altitude at Mount Wellington, and finally take in the waterfront at Constitution Dock. On the 17th (Sat), you'll have a packed day of sightseeing: shop like a local with Salamanca Market, look for all kinds of wild species at Bonorong Wildlife Sanctuary, and then see the interesting displays at Museum of Old and New Art. 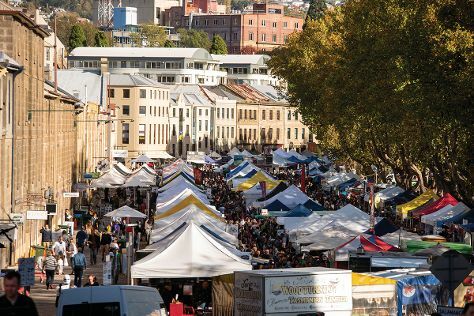 To see reviews, photos, and tourist information, read Hobart trip itinerary planner. Traveling by car from Mount Field National Park to Hobart takes 1.5 hours. In August, plan for daily highs up to 15°C, and evening lows to 4°C. Finish your sightseeing early on the 17th (Sat) to allow enough time to drive to Bicheno. Bicheno is a town on the east coast of Tasmania, Australia, 185 km north-east of Hobart on the Tasman Highway, with a population of 853. Start off your visit on the 18th (Sun): get a dose of the wild on a nature and wildlife tour, walk along Wineglass Bay Lookout, and then let the kids burn off some steam at Melshell Oysters. Get ready for a full day of sightseeing on the next day: explore the wealth of natural beauty at Freycinet National Park. To see maps, ratings, where to stay, and more tourist information, go to the Bicheno journey planner. You can drive from Hobart to Bicheno in 2.5 hours. Alternatively, you can take a bus. In August, daily temperatures in Bicheno can reach 13°C, while at night they dip to 1°C. Wrap up your sightseeing on the 19th (Mon) early enough to drive to Launceston. 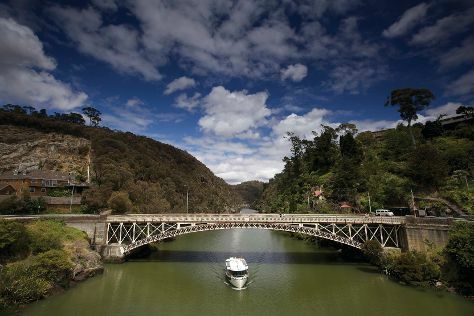 Lying in the Tamar Valley and surrounded by forested hills, the grid-patterned city of Launceston boasts shaded avenues, vibrant street life, and a cosmopolitan atmosphere. On the 20th (Tue), explore the galleries of Design Centre Tasmania, then admire the masterpieces at Queen Victoria Museum & Art Gallery, then identify plant and animal life at Cataract Gorge Reserve, and finally steep yourself in history at Woolmers Estate. On the 21st (Wed), you'll have a packed day of sightseeing: appreciate the views at The Tamar Valley, look for gifts at Goaty Hill Wines, then take an in-depth tour of Beaconsfield Mine & Heritage Centre, and finally admire the sheer force of Lilydale Falls. To find maps, reviews, ratings, and tourist information, use the Launceston trip website . Traveling by car from Bicheno to Launceston takes 2.5 hours. Alternatively, you can do a combination of taxi and bus; or take a bus. In August, daytime highs in Launceston are 13°C, while nighttime lows are 1°C. You'll have a few hours on the 22nd (Thu) to wrap things up before traveling home.